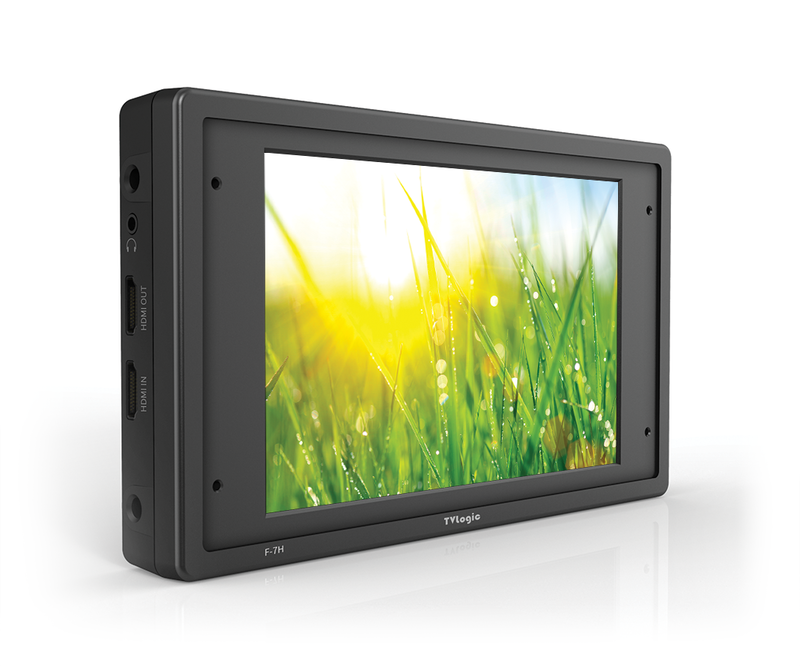 Displays the brightness increases from the normal up to max brightness to obtain a sharp and bright image when shooting outdoors. Takes the Metadata from the ARRI ALEXA is transported through the SDI outputs of the camera, and displays it on the monitor. Zooms the specified area sequentially. Supports several formats and resolutions that are ideally suited for anamorphic lenses and aspect ratios. When shooting anamorphic the image you are monitoring is an “unsqueezed” preview of what’s actually being recorded. Sets the LUMINANCE to the minimum value when the time set in the still image output is exceeded. The HDR emulation function allows users to check how an HDR image will look at the shooting location. Adjustable modes are PQ, HLG and SLog3. Allows you to load your making 3D-LUT files at NLE software like Davinci Resolve by USB flash memory and displays your LUT on VFM-055A or F-7H. Once you synchronize LUTs in the monitor, you will easily change them on production. 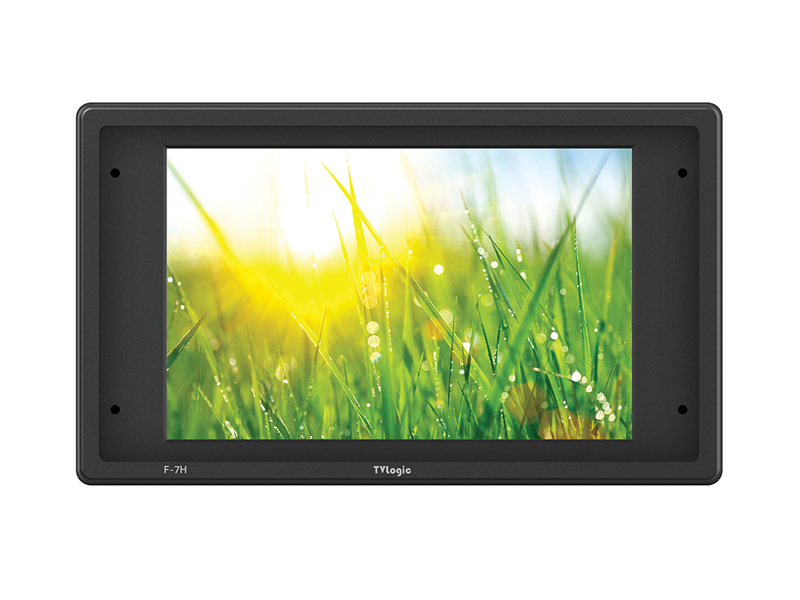 The F-7H is a 7-inch field Full HD resolution(1920x1080) production monitor with ultra-high luminance of 3,600nit. The F-7H provides SDI <-> HDMI cross conversion with 1 SDI input, 1 SDI output, 1HDMI input and 1 HDMI output interfaces. It also supports all the professional features such as Waveform & Vectorscope, Audio Level Meters, Focus Assist, Range Error, Time Code Display, various Aspect Ratio and Makers, 3D LUT import, Camera Logs and HDR emulation including HDR EOTFs of PQ, HLG and SLog3.